Have you read the latest newsletter from My American Market? It's got tons of great info - as usual. 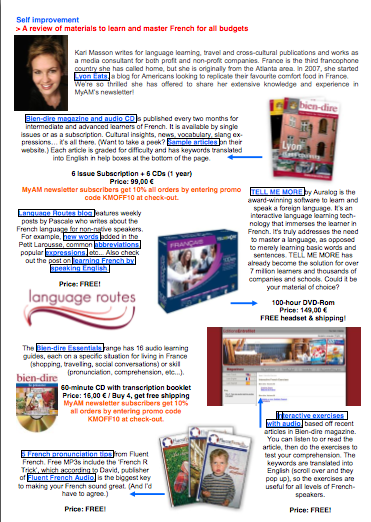 I don't mean to spoil the surprise for you if you haven't read it yet, but there's a one-page section on language learning materials for every budget, written by yours truly. But don't subscribe for that reason. Subscribe for the article on the Paris cupcake trend! Can we get in on this action down here in Lyon?